MEMPHIS, Tenn., April 08, 2019 (GLOBE NEWSWIRE) -- Thomas Hung has joined First Tennessee Bank, part of the First Horizon National Corp. (NYSE:FHN) family of companies, to lead the restaurant franchise banking group. Hung, located in Scottsdale, Arizona, will report to Steve Hawkins, director of Specialty Banking for First Tennessee Bank. Hung, a restaurant finance industry veteran, will develop and implement strategies to provide financing solutions to franchisors, franchisees, company-owned chains and private equity sponsors who are looking to invest and operate branded restaurants. With two decades of experience in the financial services industry, Hung is coming to First Tennessee from Citizens Bank Restaurant Finance where he most recently served as managing director, head of sponsor and chain restaurants. His industry experience includes developing a national chain restaurant lending platform, leading structured finance and syndicating sponsor-backed restaurant loans. 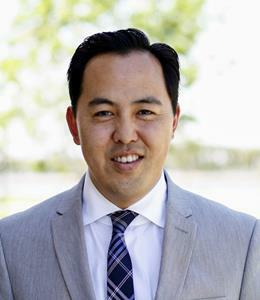 Hung earned his bachelor’s degree in finance from the Marriott School of Management at Brigham Young University and his MBA from the Johnson Graduate School of Management at Cornell University. He volunteers for United Way, Feed My Starving Children, and as a reading tutor for a local elementary school.